Though Arista Networks is a relative newcomer in the data center and cloud networking markets, the company has already had considerable success. 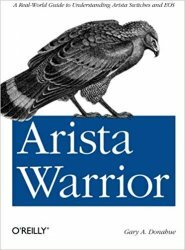 In this book, renowned consultant and technical author Gary Donahue (Network Warrior) provides an in-depth, objective guide to Arista’s lineup of hardware, and explains why its network switches and Extensible Operating System (EOS) are so effective. Anyone with a CCNA or equivalent knowledge will benefit from this book, especially entrenched administrators, engineers, or architects tasked with building an Arista network. Is Arista right for your data center? Pick up this guide and find out.